Kenny Jackett and Lee Bowyer have described reports linking them with the QPR manager’s job as “speculation”. It was claimed Charlton boss Bowyer (pictured) has been sounded out and is a contender to replace the sacked Steve McClaren at Loftus Road. Bowyer is not currently in the running for the job. Tim Sherwood is director of football Les Ferdinand’s first-choice to take over and there is also interest in Gary Rowett, Mark Warburton and Michael Appleton. Bowyer, whose head of recruitment at Charlton is former long-serving QPR coach Steve Gallen, is currently discussing a new contract at The Valley, where his current deal expires at the end of the season. Speaking at a press conference on Thursday morning, Bowyer insisted he had no reason to believe a move to west London could be in the offing. “It’s obviously all speculation. I’ve not spoken to anyone at QPR, so I’m not sure where that’s come from,” he said. Meanwhile, Portsmouth News reports that former R’s assistant boss Jackett has also played down reports linking him with the QPR job. 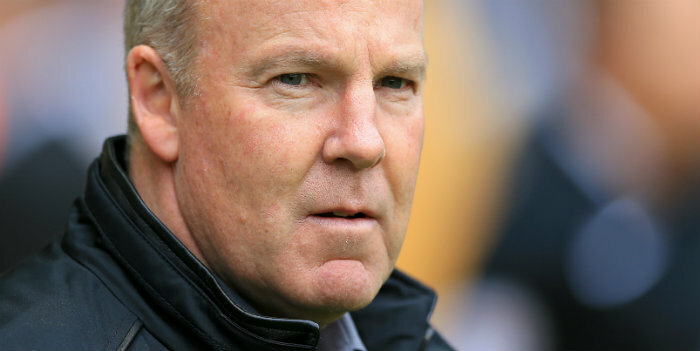 Portsmouth manager Jackett said: “I’d think it’s just speculation. There’s a lot of speculation there, but I’ve heard nothing. Correction:- 2 down unless its QPR dragging their feet. Sounds like thats one down then. Whoever it becomes, we can be sure it will be another wrong ‘un. History always repeats itself. Wont be Sherwood though, he will expect a huge transfer pot.